Bankers are forecasting a rise in Chinese demand as the only way for mining to grow, but those in the industry are not expecting strong growth in the nation, however this is not fazing miners. The Goldman Sachs Group has outlined ongoing weakness in copper and aluminium markets, and continued pain in iron ore, unless a rise in seen in Chinese metal demands. It went on to say cost cutting exercises by miners in an attempt to tighten operations won’t help margins in the long term. “While recent supply cuts in copper and aluminium may appear to bring the markets closer to balance, the cuts in our view are not sufficient to do so,” analysts explained according to Bloomberg. “It is our view that the supply cuts confirm the bear case for these metals. However this pickup is unlikely, with both major mining OEMs and economists predicting continued weakness, and no return to the heydays of the boom. “My expectation is within China and globally that the market will pick up to a level above where we are in 2015,” Caterpillar’s head of construction equipment Tom Pellette told the Financial Times. Australian economist Saul Eslake also dismissed a return to boom-like conditions. 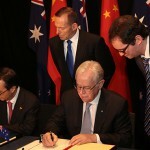 With the last boom tied to the unprecedentedeconomic growth in China, Eslake told the mining business community at IMARC that there was little prospect of these conditions being replicated in the future, and that despite growth in other nations, none could match the impact of population growth in China. "The countries that are still to develop are much smaller than China and India are, they are not, in most cases, starting from as far back on the development curve as China was in 1979 or India was in 1991, and most of them are much more self-sufficient in commodities than China or India ever were," he said. "So it could well be, in my view, that the commodities boom Australia has just experienced in the last 12 or so years is the last of its kind in human history unless unforeseen technological developments ordain otherwise." 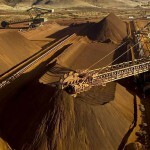 Eslake predicted that iron ore and coal would continue to experience further downside for the next one to two years. Despite these conditions and predictions, major miners remain optimistic. 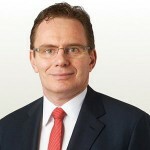 Rio Tinto’s Sam Walsh said the pessimism rampant in the market has not fazed the miner. “There are lot of pundits saying that growth will be slower than the government will be expecting,” Walsh told Bloomberg Television, after China set a 7 per cent growth target at its fifth plenary meeting. Instead he pointed what he believes are realistic forecasts by the nation, as opposed to the 6.57 per cent predicted by Bloomberg. China’s economy grew 6.9 per cent during the September quarter, compared to the previous year, which though positive marked the slowest rate of increase since 2009, with the likelihood of it being the slowest growth rate in more than 20 years. “It’s a very volatile world and markets and investors and analysts are responding to things that are happening on a sort of daily basis,” Walsh said.